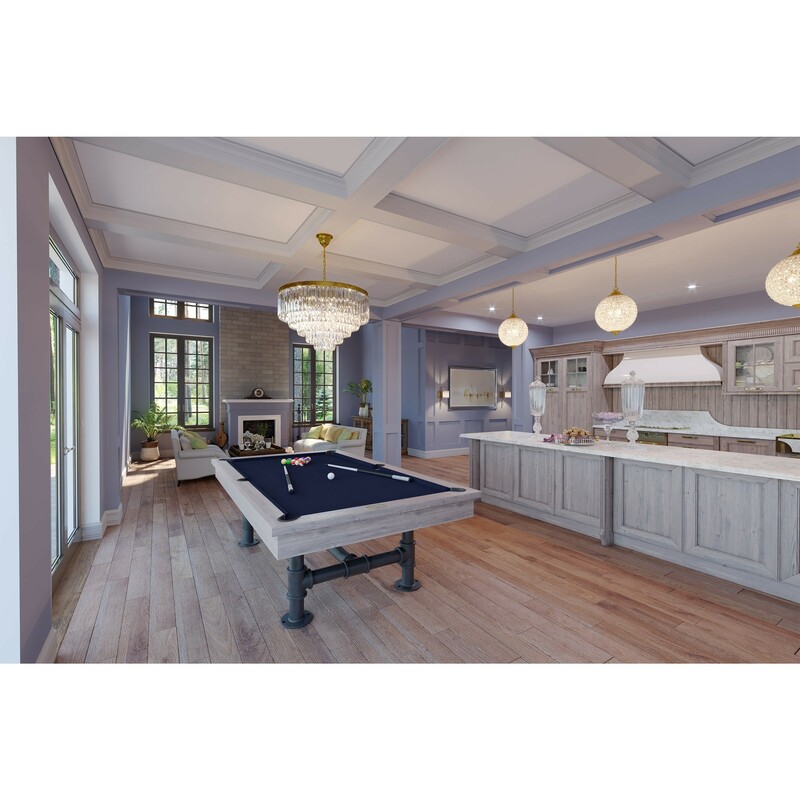 8′ Bedford Pool Table w/Dining Top (Silver Mist) | Fun! 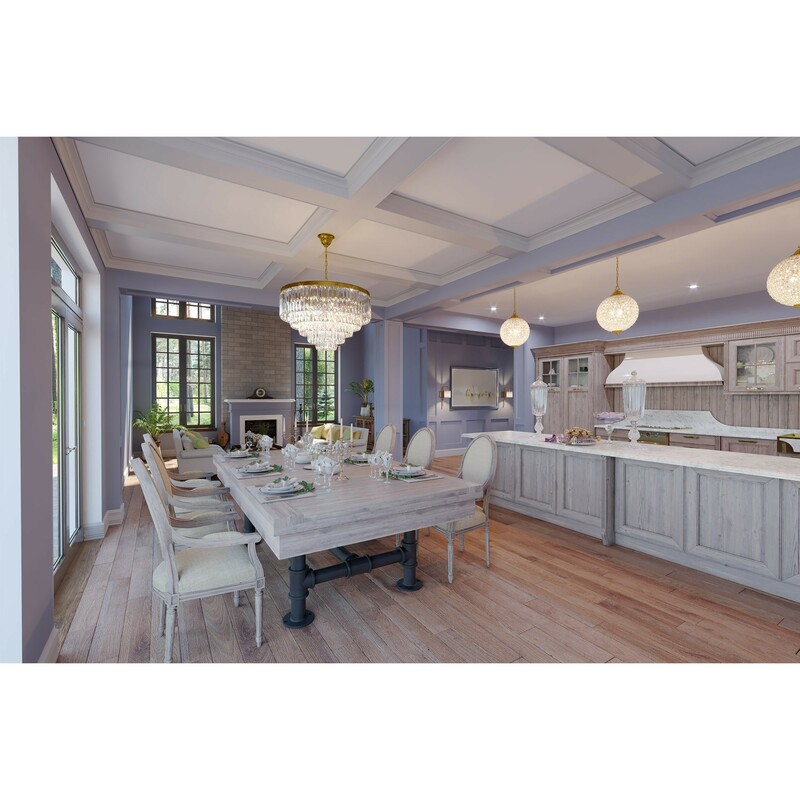 Now you can have the perfect compliment to our Bedford Pool Table when you are having a dinner party. This 36-inch long bench accommodates 1 – 2 people. The matching hardwood seats are comfortable. 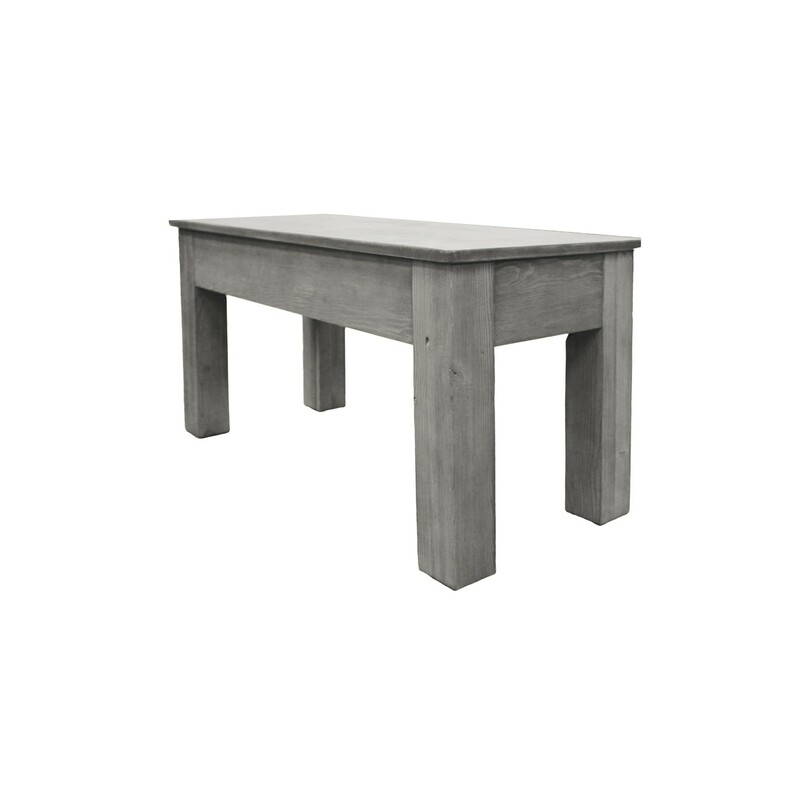 Made of solid Aspen wood and finished in Silver Mist to match the table and dining top. 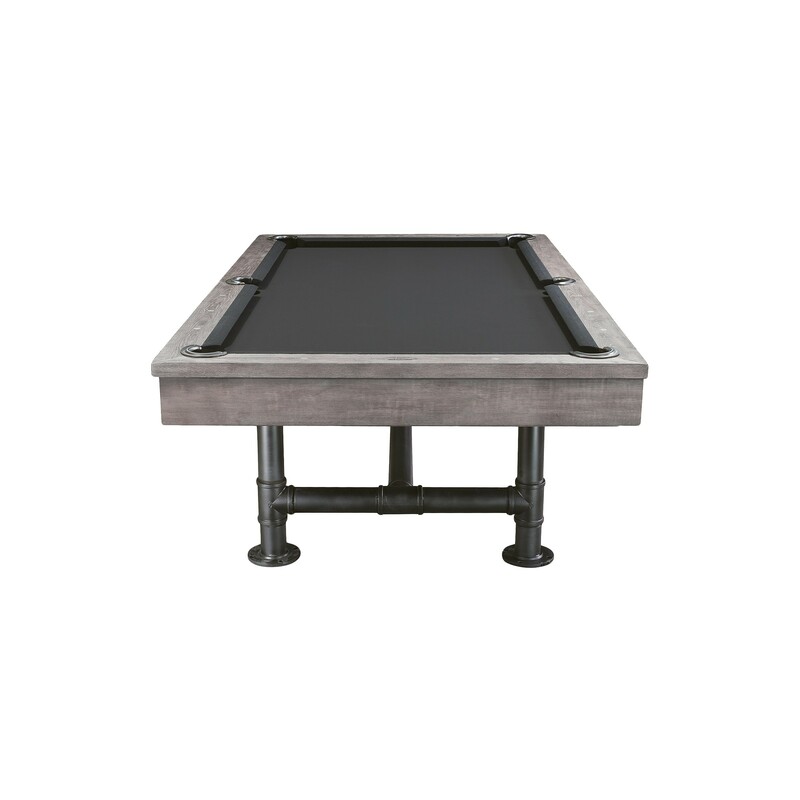 The bench measures 36″L x 18″W x 19″H. 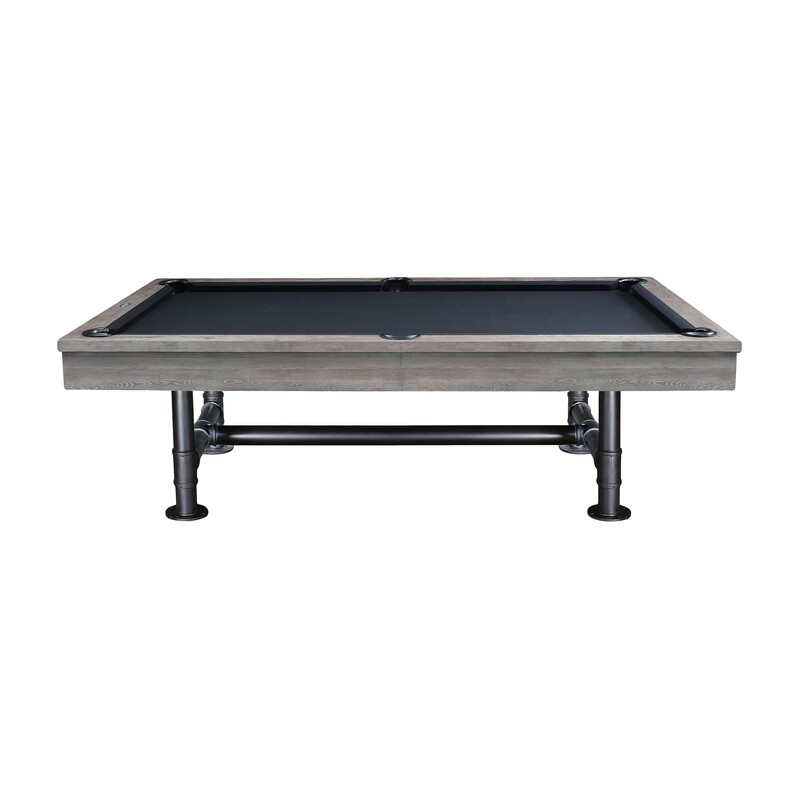 Now you can have the perfect compliment to our Bedford Pool Table when you are having a dinner party. 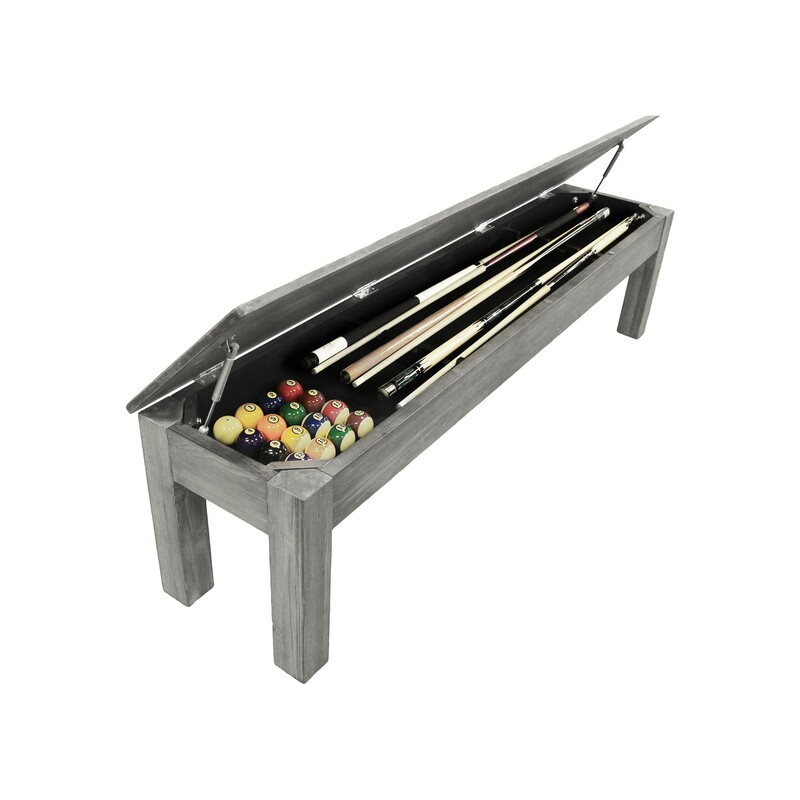 This 76-inch long bench accommodates 3 – 4 people and has an hinged top with internal storage space for your pool cues, etc. The matching hardwood seats are comfortable. 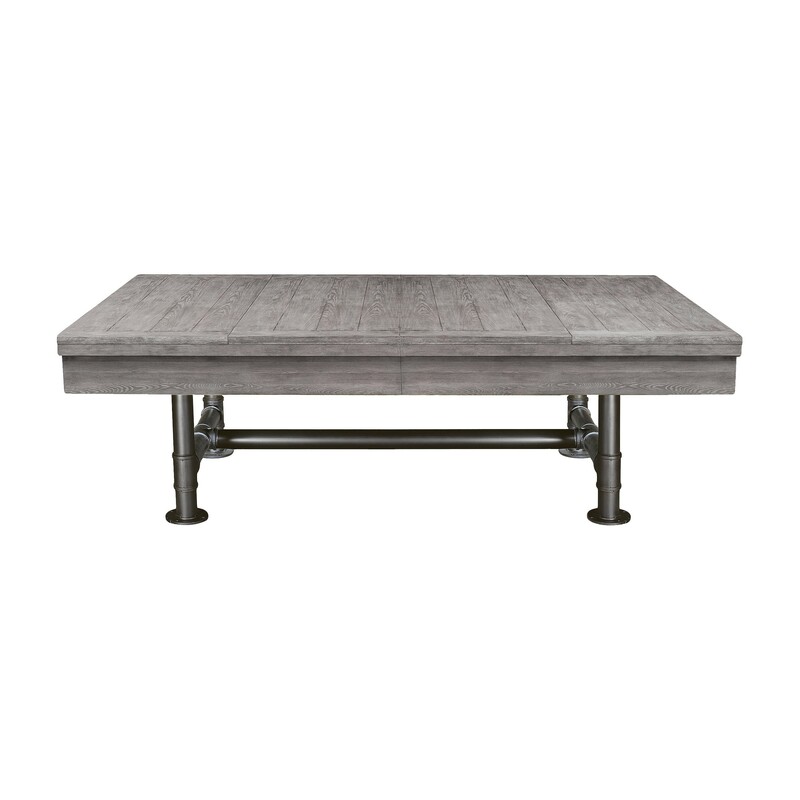 Made of solid Aspen wood and finished in Silver Mist to match the table and dining top. 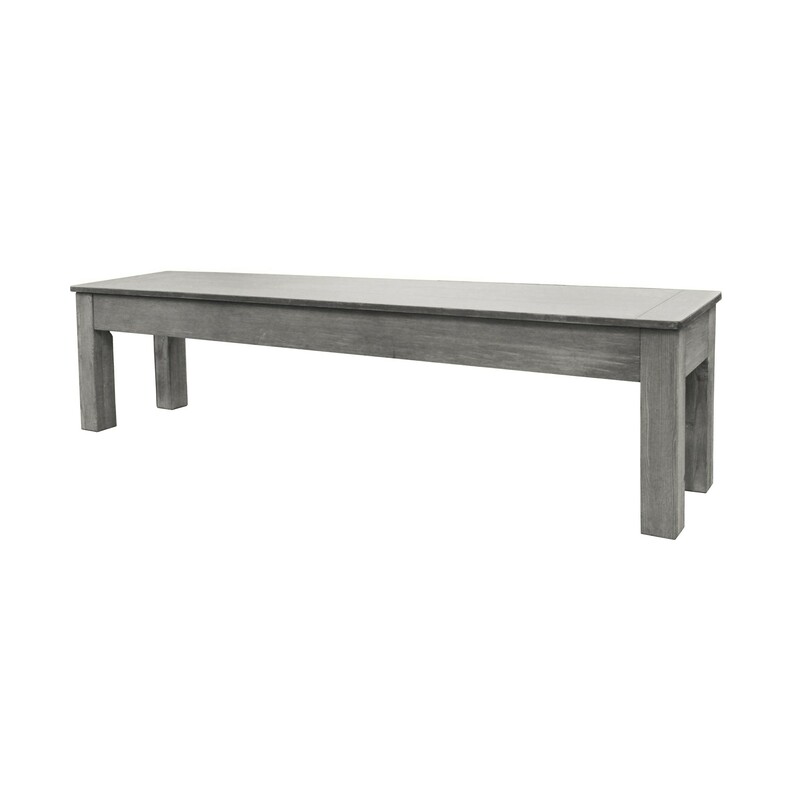 The bench measures 76″L x 18″W x 19″H. This Imperial Deluxe Wall Rack is a beautifully designed, solid wood wall rack in a Silver Mist finish. 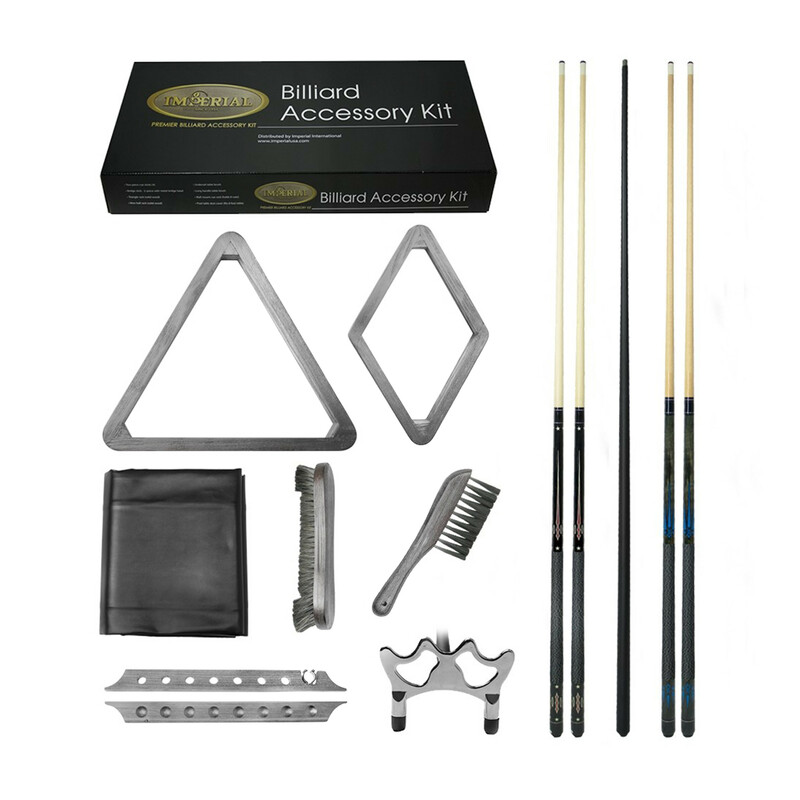 This rack holds 8 cues, a set of balls, triangle, and a 9-ball rack. Measures 35.5-inches wide x 84.5-inches high x 4.5-inches deep. Hardware included. When only the best will do. 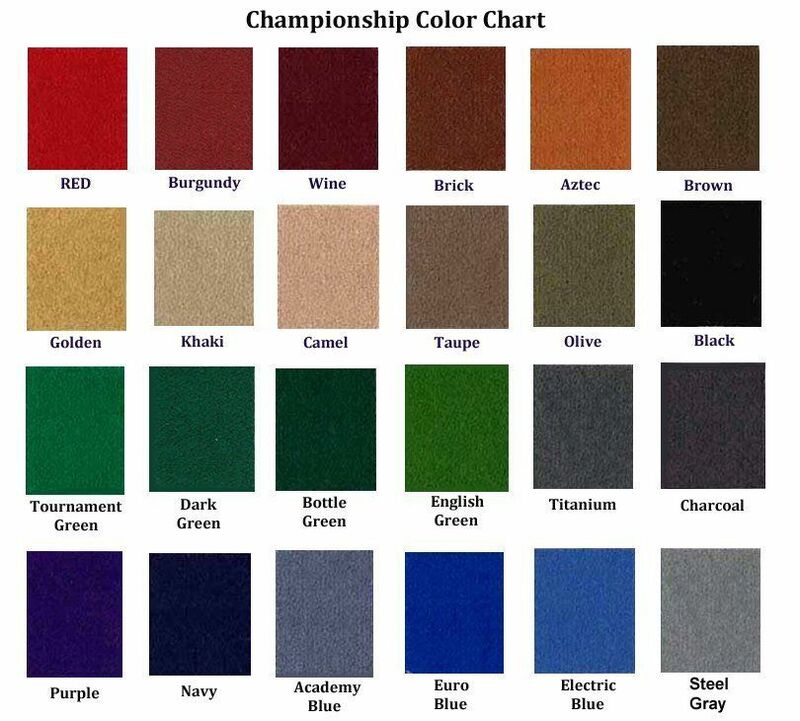 The truest playing pool cloth preferred by pro pool players. Simonis 860 features combed worsted wool, high thread count and higher wool content assure long lasting wear and reduced ball burning. Nap-free… will not pill, fluff or shed. 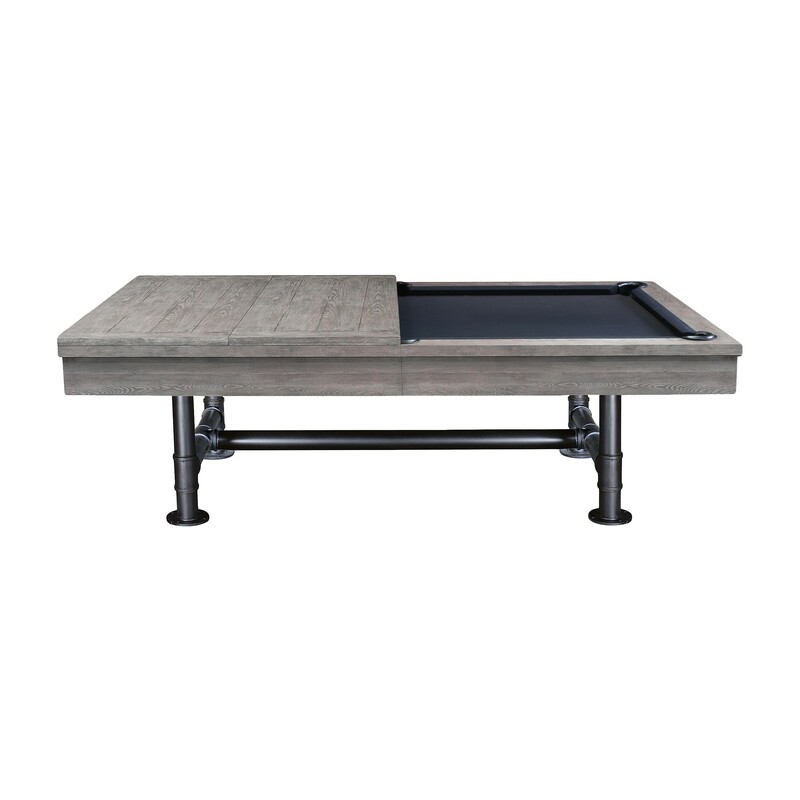 Optional matching Bedford Shuffleboard available here.